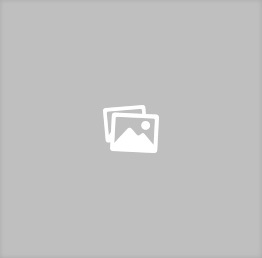 Kitchen Magic works with homeowners who have special needs to create a completely functional, modified and wheelchair accessible kitchen. 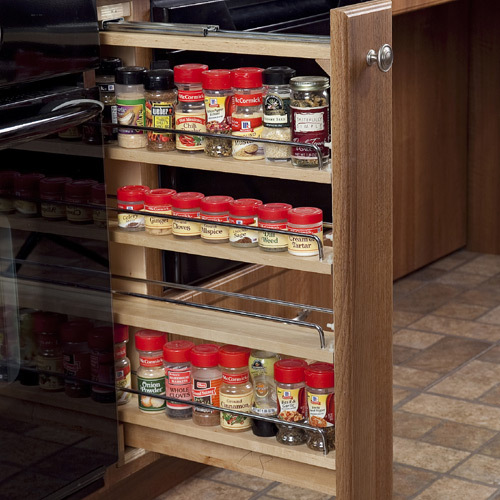 Kitchen Magic custom builds everything to fit your needs, right in our cabinet shop. 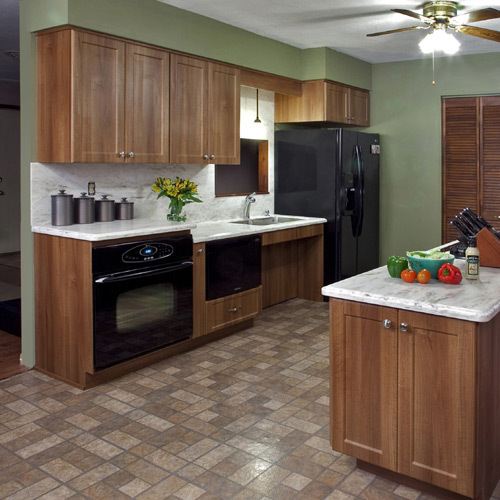 Practical modifications will create a kitchen solution that is both attainable and affordable. 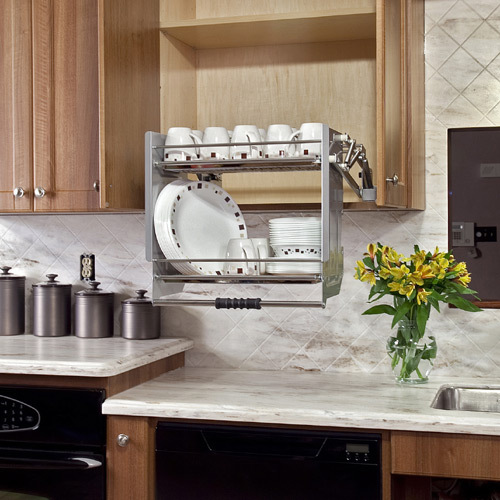 With good planning, cabinet organization and storage accessories, accessibility is possible. Choose your own color and style combination. Our expert consultants will show you hundreds of color and style options to choose from…have the kitchen design you’ve always dreamed of! 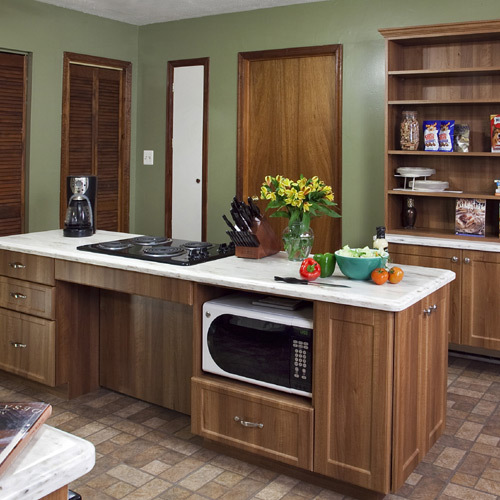 Family owned Kitchen Magic has transformed tens of thousands of kitchens since 1979. And we can do the same for you! 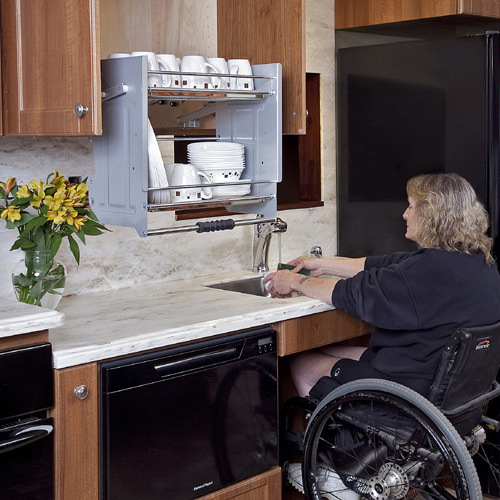 View the image gallery below for more accessible kitchen ideas! When washing a dish, reaching into a cabinet or stirring a pot is inconvenient, simple jobs can become time consuming and frustrating. Whether you cook for enjoyment or it’s just a necessary task, having everything accessible and functional in your kitchen makes an enormous difference in day to day life. Avoid hazards from pots that are hard to see or clothing too close to burners. 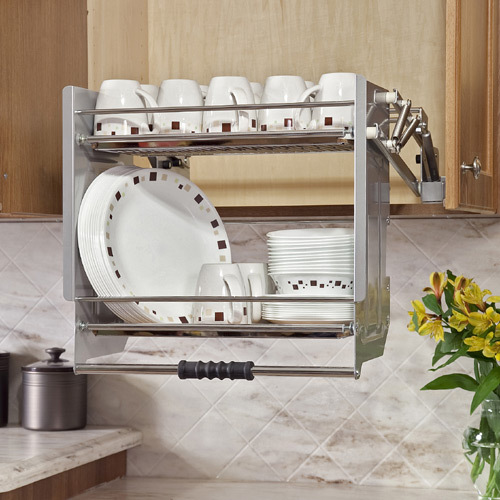 Easy access into the oven and cabinets to safely place and remove dishware or hot items. 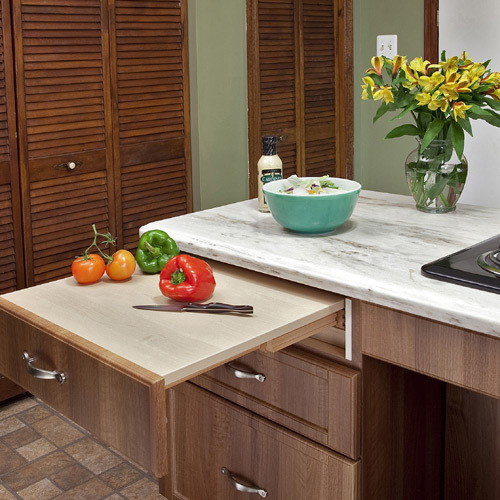 Open space beneath the cook top and sink provides wheelchair accessibility. Additional pull out cutting surfaces make food prep a breeze. Easy access to microwave for quick thawing and reheating. A wheelchair bound homeowner has daily struggles with inaccessible spaces, especially if they live alone. 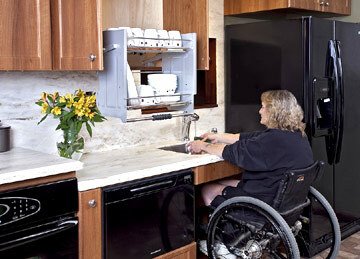 A functional, accessible, living kitchen space greatly enhances their capabilities and quality of life. 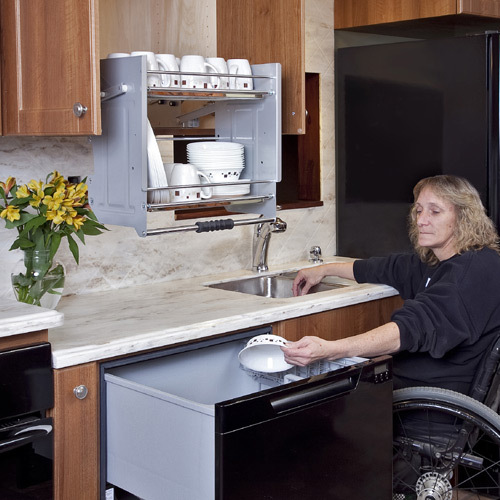 For more information about wheelchair accessible kitchens and other customizations, please see our blog article entitled 5 Tips to a More Accessible Kitchen for Mobility Challenges. 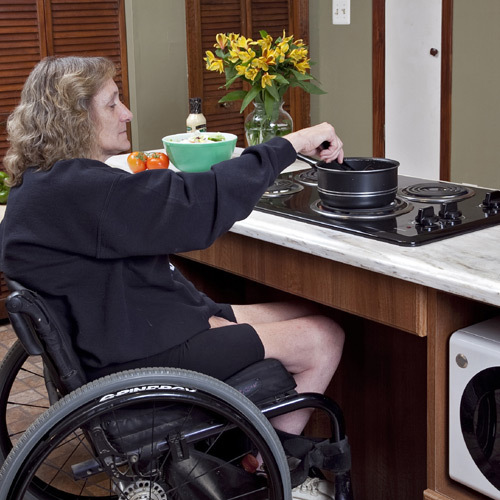 To speak with someone about the most popular options for mobility challenges call Kitchen Magic at (800) 237-0799 for a FREE in-home consultation and price quote.